He complained to an Employment Tribunal (ET) that those repeated disappointments had arisen as a result of race discrimination. He argued that an inference that he had been less favourably treated could be drawn from, amongst other things, the fact that his distinctively Nigerian name, together with his town and country of birth, could be viewed by those considering his applications. The ET upheld certain of his complaints of harassment and victimisation and was highly critical of some of the line managers to whom he was accountable. However, it found that he had failed to establish that there was any direct or indirect discrimination with regard to his job applications. 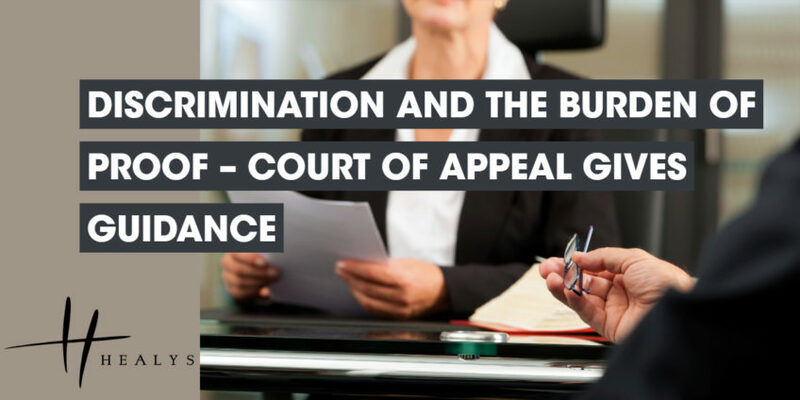 In a controversial ruling, the Employment Appeal Tribunal (EAT) subsequently upheld his appeal against that finding with regard to direct discrimination and remitted the matter to a different ET for reconsideration. In upholding the employer’s challenge to the EAT’s decision, the Court found that the ET had applied the correct burden of proof in accordance with Section 136 of the Equality Act 2010. It was for the employee to establish facts from which the ET could conclude, on the balance of probabilities and absent any other explanation, that the alleged discrimination had occurred. Thereafter, the onus shifted to the employer to show that the employee’s treatment was not tainted by discrimination. On the evidence, the employee had manifestly failed to establish an arguable case that the employer was required to rebut. His discrimination complaints were based merely on assertion and were not backed up with the necessary factual foundation. In the circumstances, the Court restored the ET’s finding that there had been no direct discrimination against the employee with respect to recruitment to any of the relevant posts.